Ms. Oser is a litigator whose practice includes labor and employment disputes and general litigation matters. Ms. Oser graduated from the University of Michigan with High Honors. 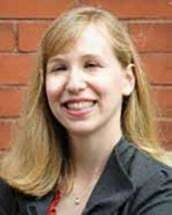 She attended the University of Cincinnati College of Law where she received a Peggy Browning Fellowship to work for the IUE-CWA. During her final year of law school Ms. Oser argued and won a case of first impression, State v. Pankey, in the Ohio First District Court of Appeals. Prior to joining BS&J, Ms. Oser worked as an attorney with the Office of the Louisville-Jefferson County Metro Public Defender and was in private practice. Ms. Oser currently serves as the Treasurer of the Kentucky Bar Association's Labor & Employment Law Section. She was also awarded the Kentucky Bar Association's 2018 Continuing Legal Education Award. Ms. Oser is also committed to serving the Louisville community. She is a graduate of the Louisville Bar Association Leadership Academy and the Emerge Kentucky Class of 2017. She also received the Joseph J. Kaplan Young Leadership Award for her work with the Jewish Community of Louisville.